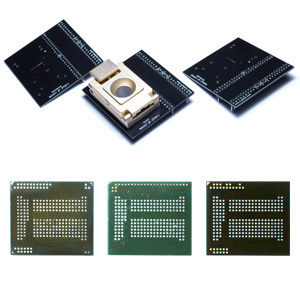 Adapter VNR eMMC-NAND Samsung BGA169 #1 is a original Rusolut production adapter for eMMC NAND BGA169 IC dedicated to use with eMMC NAND Reconstructor software. 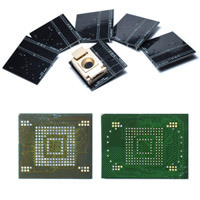 VNR eMMC-NAND adapter Hynix BGA162 #1 is a original Rusolut production adapter for eMMC NAND BGA162 IC dedicated to use with eMMC NAND Reconstructor software. VNR eMMC-NAND adapter Hynix BGA169 #1 is a original Rusolut production adapter for eMMC NAND BGA169 IC dedicated to use with eMMC NAND Reconstructor software. 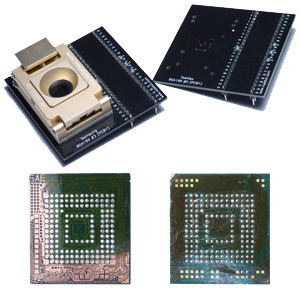 VNR eMMC-NAND adapter Samsung BGA169 #2 is a original Rusolut production adapter for eMMC NAND BGA169 IC dedicated to use with eMMC NAND Reconstructor software. 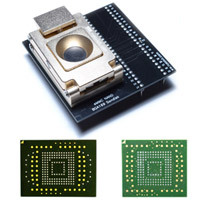 VNR eMMC-NAND adapter Samsung BGA221 #1 / Hynix BGA221 #1 is a original Rusolut production adapter for eMMC NAND BGA221 IC dedicated to use with eMMC NAND Reconstructor software. VNR eMMC-NAND adapter Sandisk BGA169 #1 is a original Rusolut production adapter for eMMC NAND BGA169 IC dedicated to use with eMMC NAND Reconstructor software. VNR eMMC-NAND adapter Toshiba BGA169 #1 is a original Rusolut production adapter for eMMC NAND BGA169 IC dedicated to use with eMMC NAND Reconstructor software. VNR eMMC-NAND adapter Toshiba BGA169 #2 / Samsung BGA169 #3 is a original Rusolut production adapter for eMMC NAND BGA169 IC dedicated to use with eMMC NAND Reconstructor software.